Paris isn’t the only travel destination France has to offer. Between the fairytale villages of Alsace and the beaches of Cannes and Nice, there’s an ideal vacation spot for everyone. But the „City of Love“ is just the beginning of France’s magic and charm. No matter what interests you, there is a French city where you’ll find yourself enchanted by scenery, culinary arts, history, and more. On your next trip to France, immerse yourself in the culture of these 12 underrated destinations. Colorful Alsace has German and French influences. Situated along the French-German border, Alsace has influences from both countries. The region is beloved for its colorful fairytale villages such as Colmar, Riquewihr, and Eguisheim, as well as its world-renowned wine. Alsace is also home to the oldest traditional Christmas market in France, which is held in Strasbourg and brings the magic of the holidays to life each year. 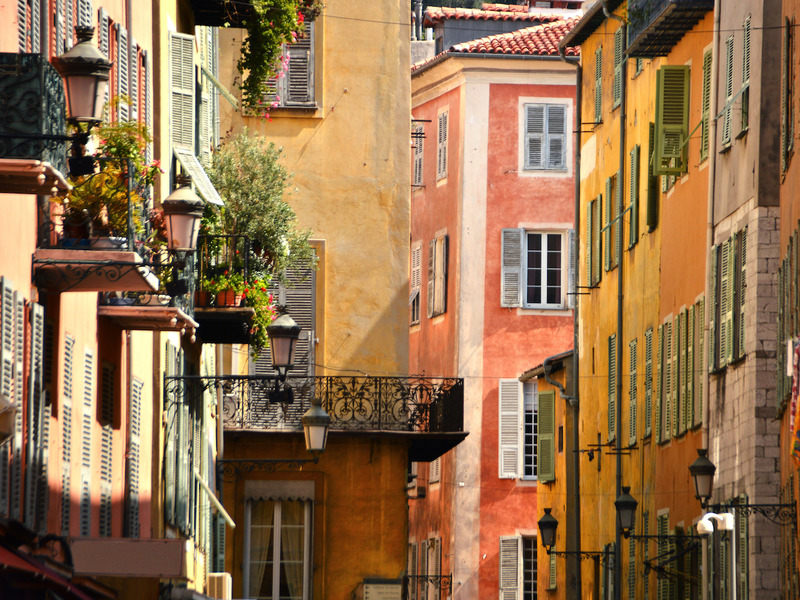 Take a stroll along the French Riviera in Nice. Dreams of summer afternoons on the French Riviera come true in Nice. The fifth-largest city in France, Nice is best known for enchanting visitors with warm weather and views of the sea from the Promenade des Anglais. Return to the days of the Renaissance in Lyon. Lyon is the third-largest city in France. Founded by the Romans, the city boasts one of Europe’s largest and best-preserved Renaissance neighborhoods, Vieux Lyon, as well as two Roman amphitheatres. UNESCO has designated parts of Lyon as a World Heritage Site. Foodies will fall in love with the city for its 2,000 restaurants, while sport travelers might choose to cycle down Via Rhôna, a path that leads all the way to the Mediterranean Sea.